This piece really speaks for itself. 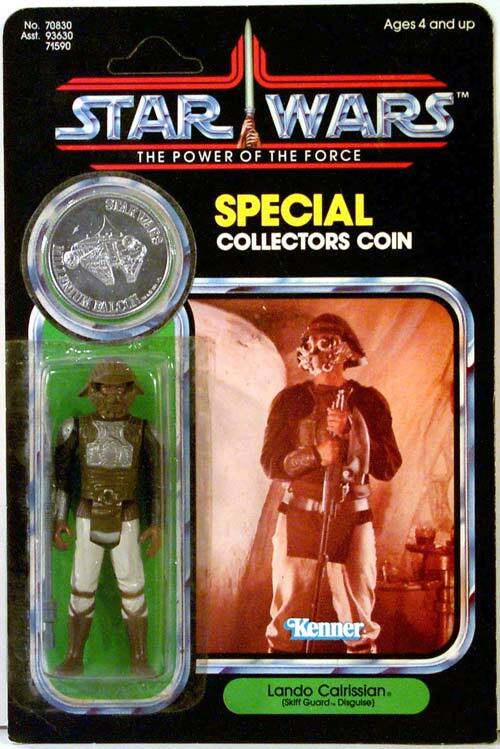 As any collector of Star Wars carded figures will tell you, Lando in Skiff Guard Disguise was never released on a Power of the Force blister card. 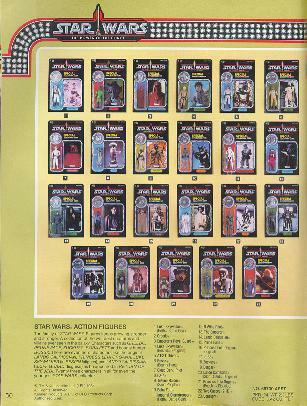 This particular example was created for use in promotional photography, such as the photo from the 1985 Kenner Toy Fair catalog that is seen here. For some reason, when Kenner was putting this sample together, they used the Millennium Falcon coin rather than one of the two Lando coins that were available. Personally, I have to laugh when I see Lando on a Power of the Force card. I always associate the character with the Power of Colt 45.